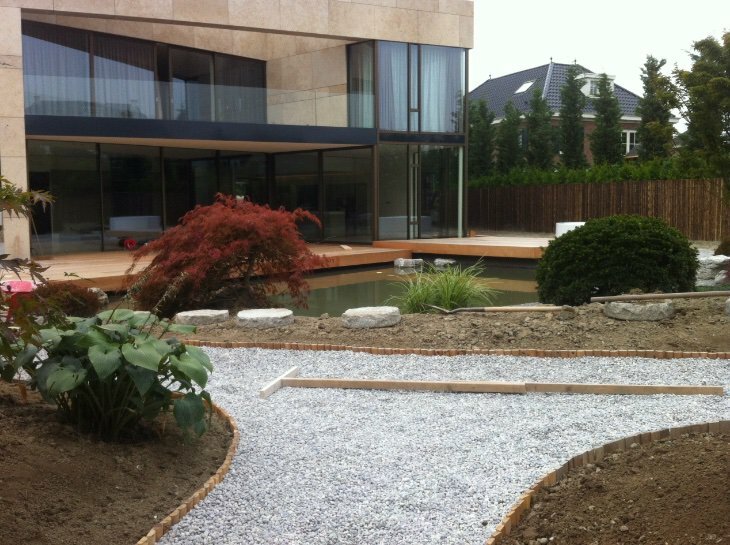 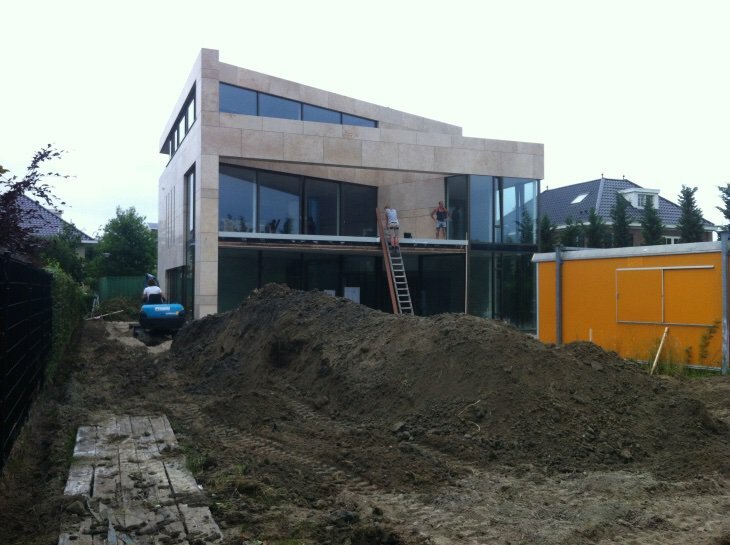 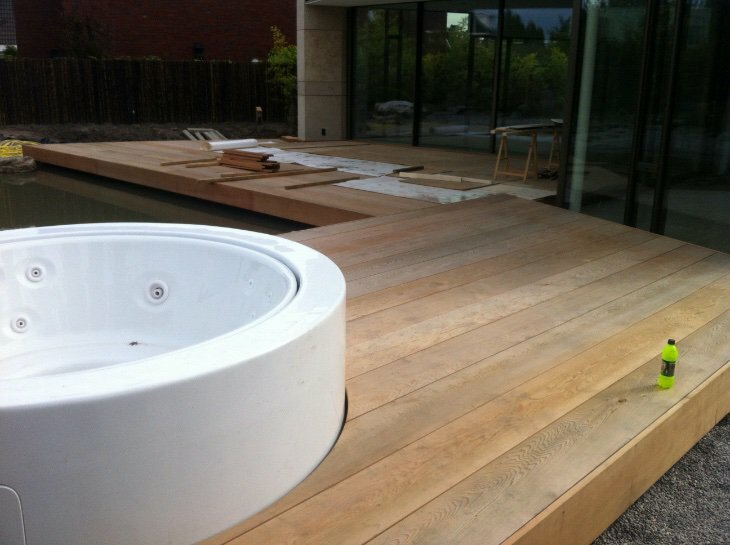 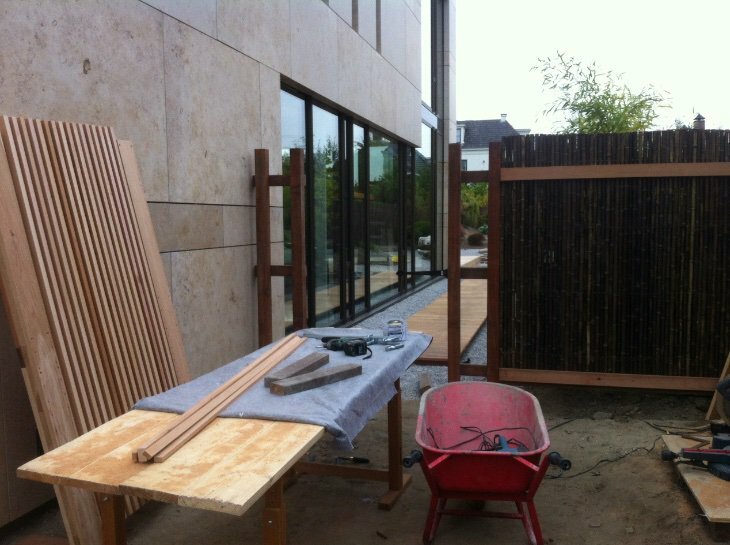 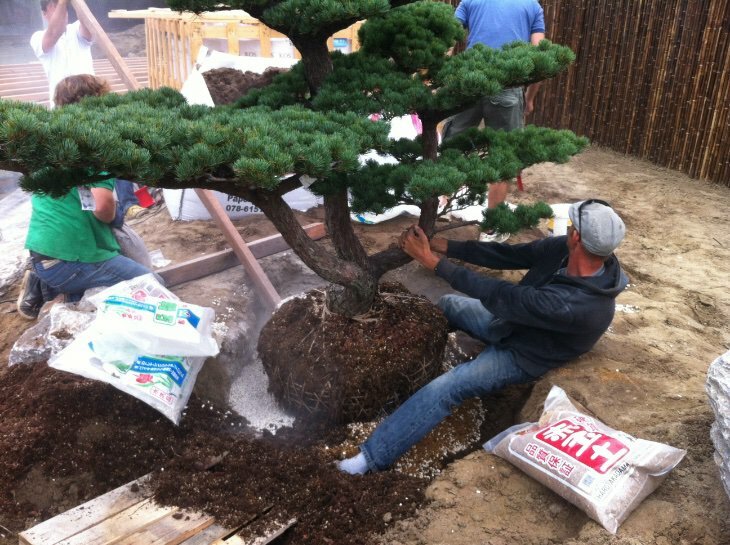 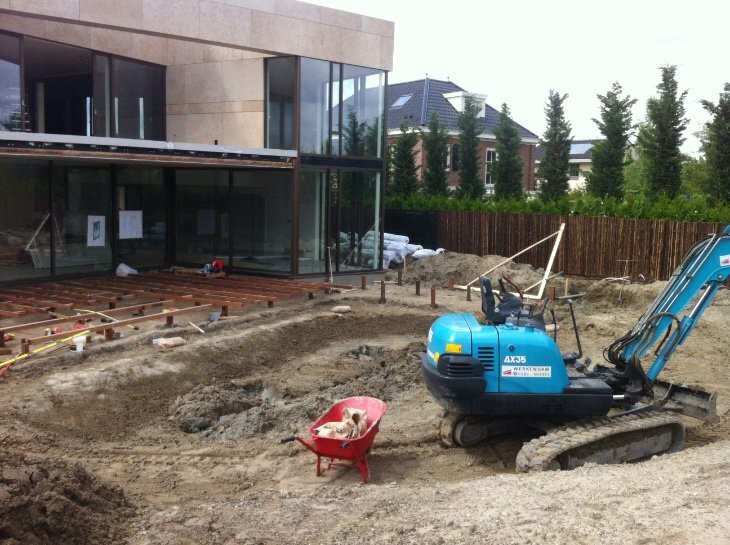 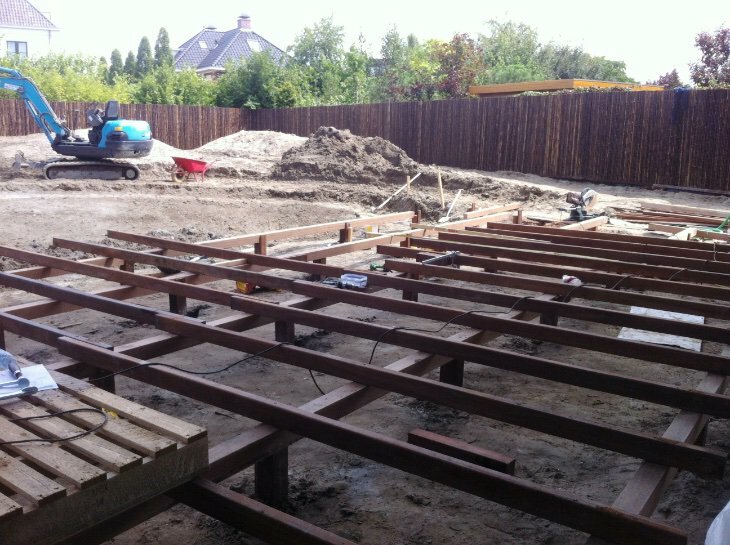 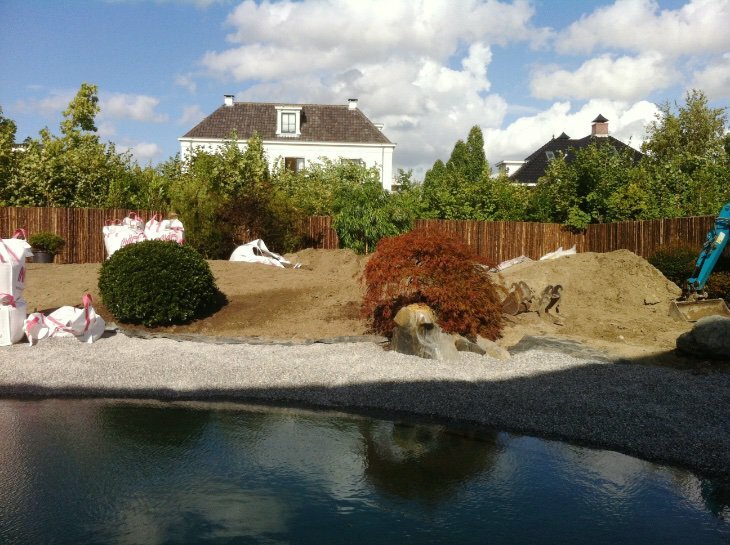 Photo series of the landscaping of an 1100 m2 Japanese garden in Hoofddorp the Netherlands. 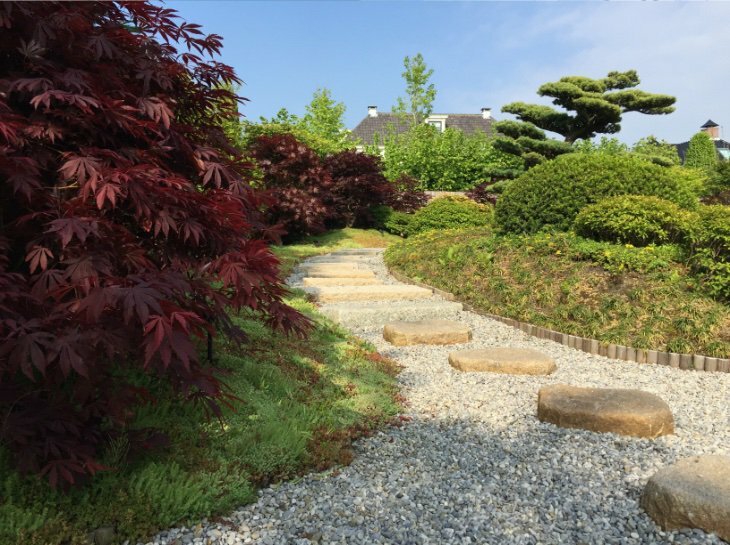 Our goal was to create a smooth transition between the modern, clean architecture of the building and the smooth, natural forms and shapes of the Japanese garden. 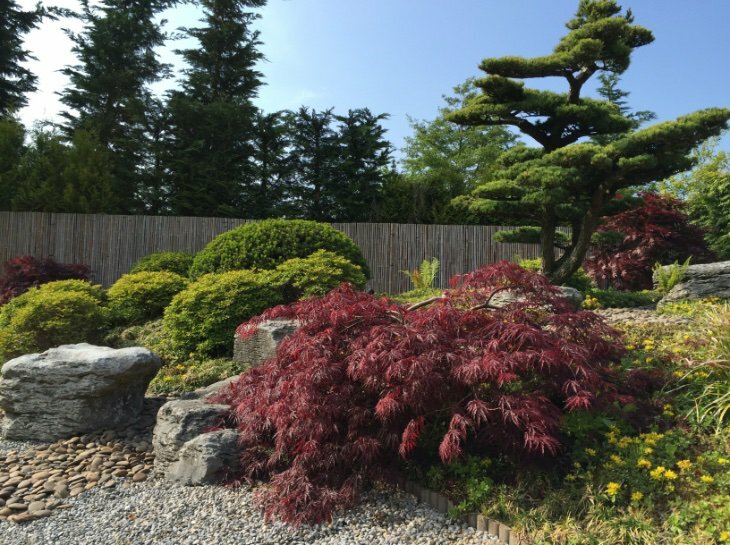 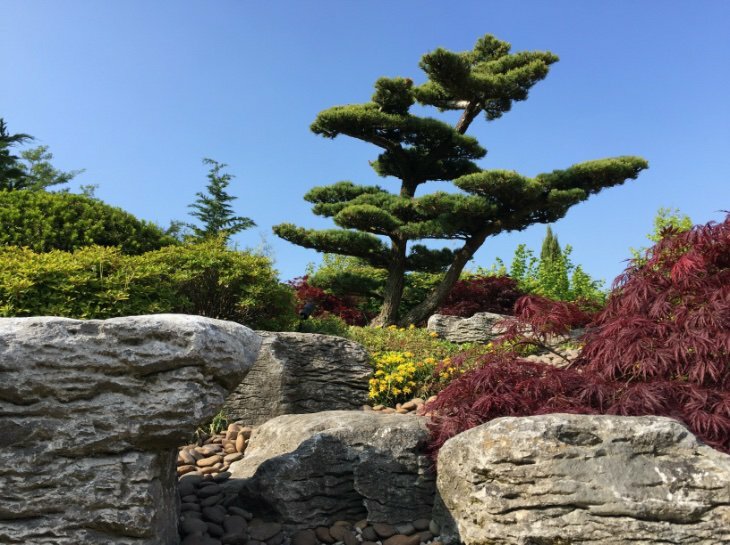 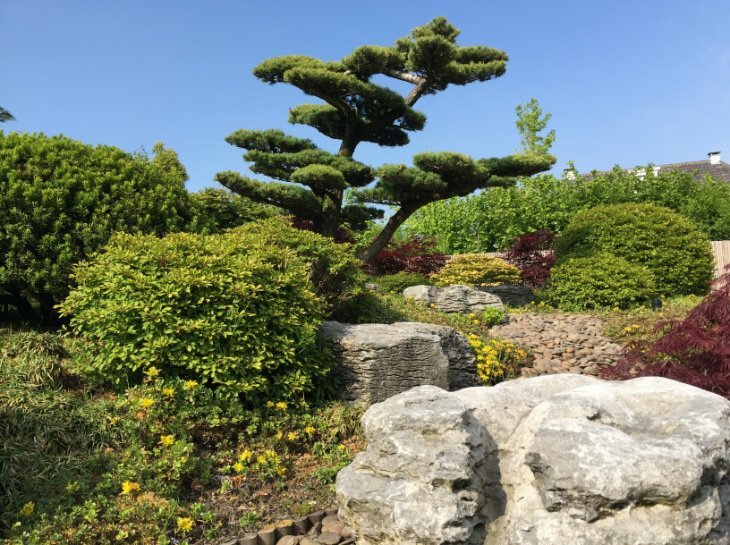 The Japanese garden features a 95 m2 Western Red Cedar deck, some very old Japanese trees, Pinus trees, Azalias and lots of stones and rocks. 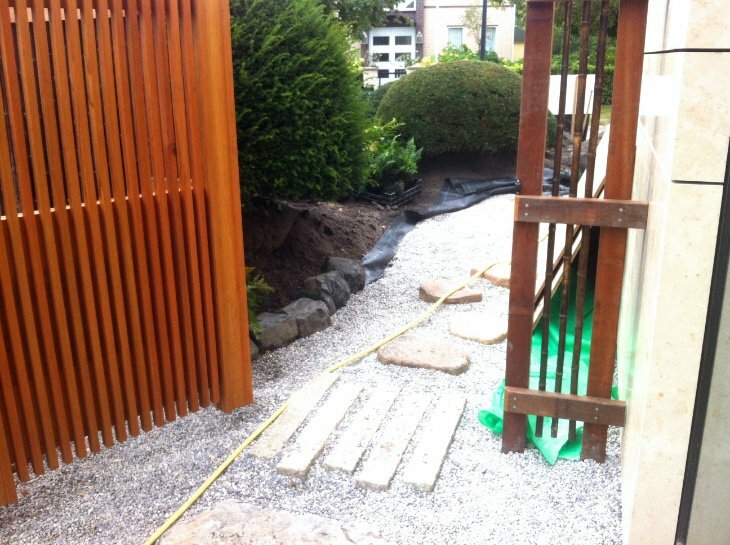 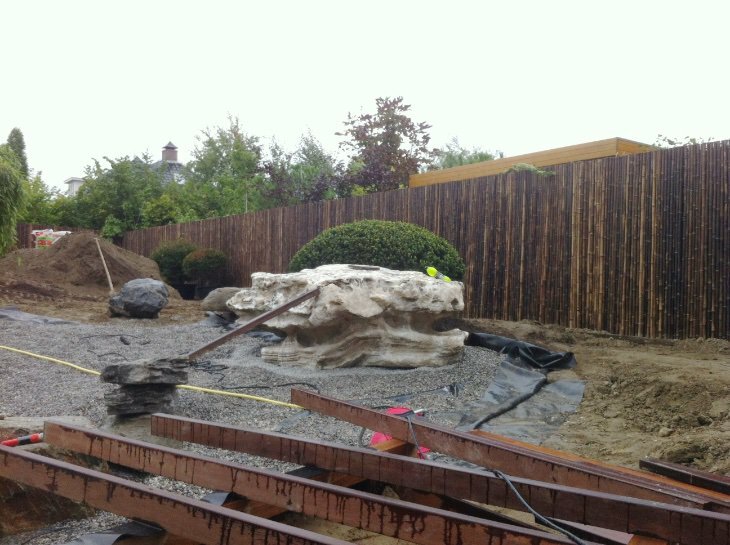 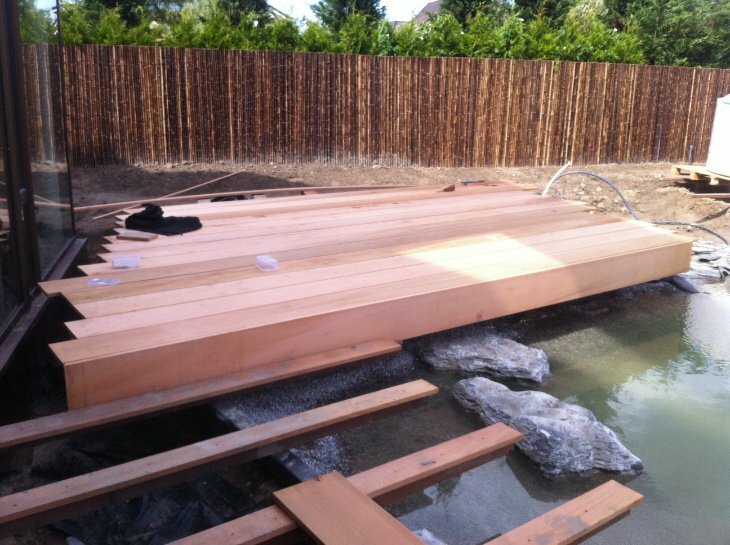 To give you an idea, we used 45 tons of gravel, 30 tons of additional soil, 120 m2 Western Red Cedar (3cm thick en 30 cm wide planks) and 15 tons of rocks and stones. 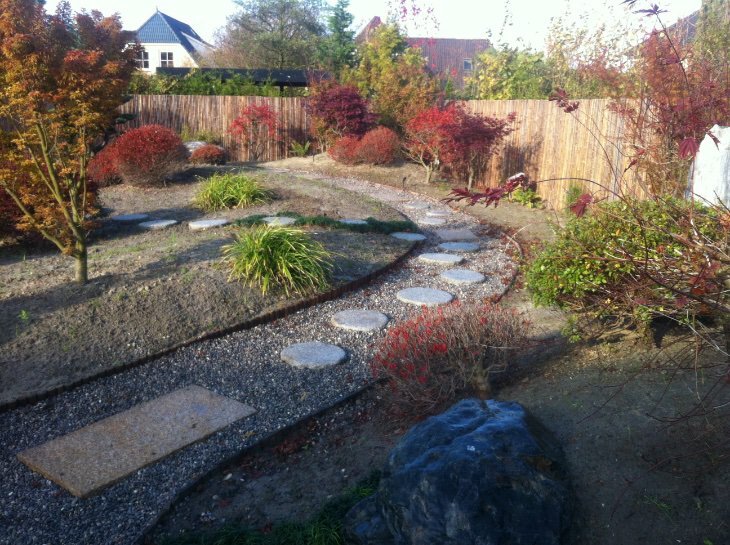 The Japanese garden also features a very special water rock. 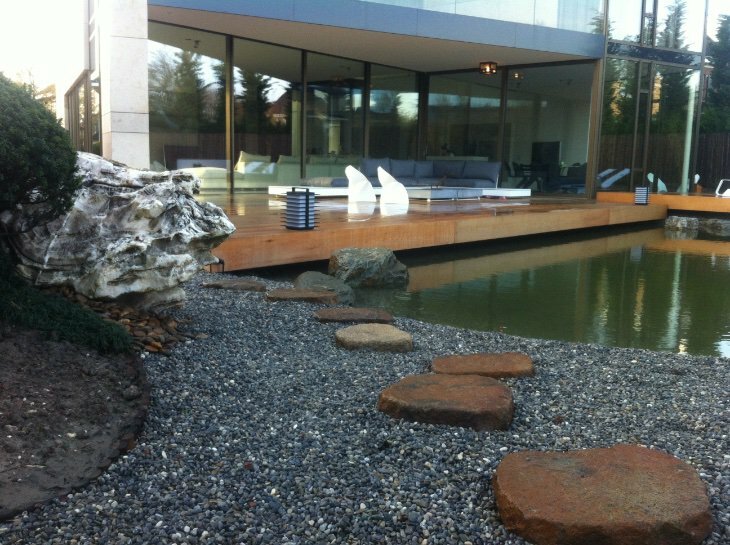 This rock is about 3,5 tons in weight and is part of the water circulation. 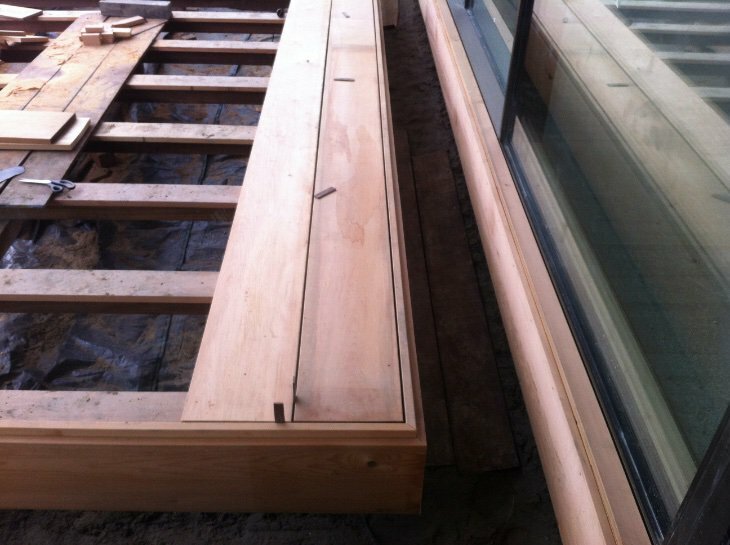 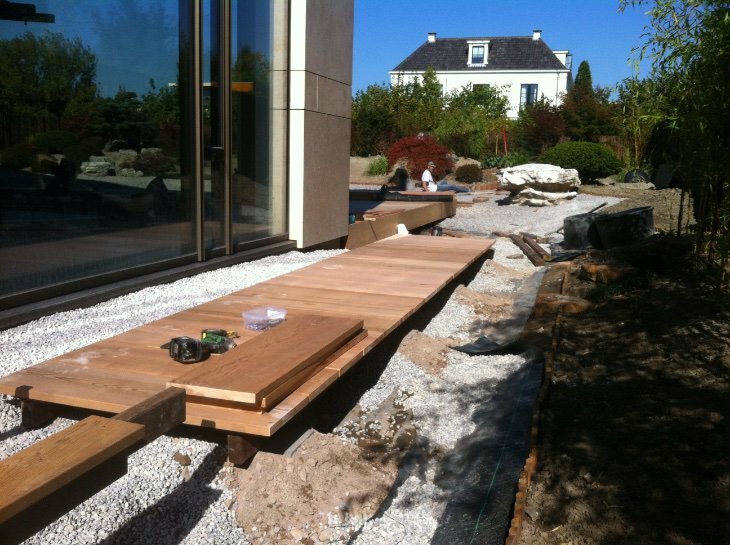 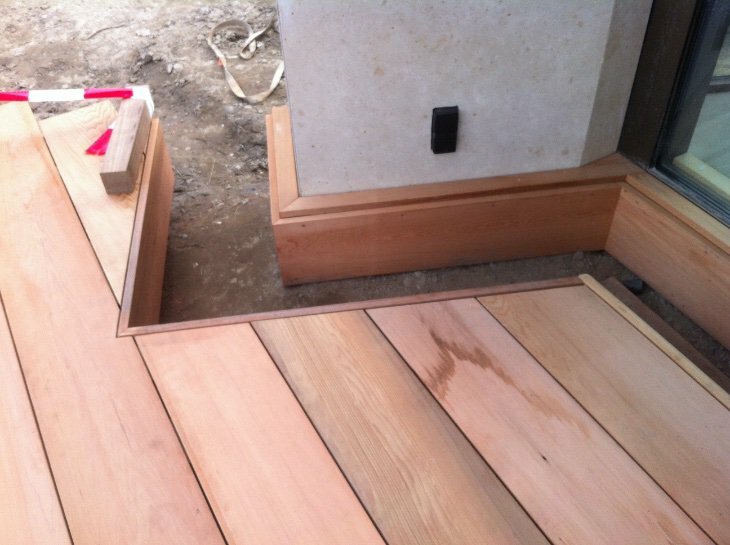 The Western Red Cedar deck is connected with the building by a glass 'border', covering white gravel. 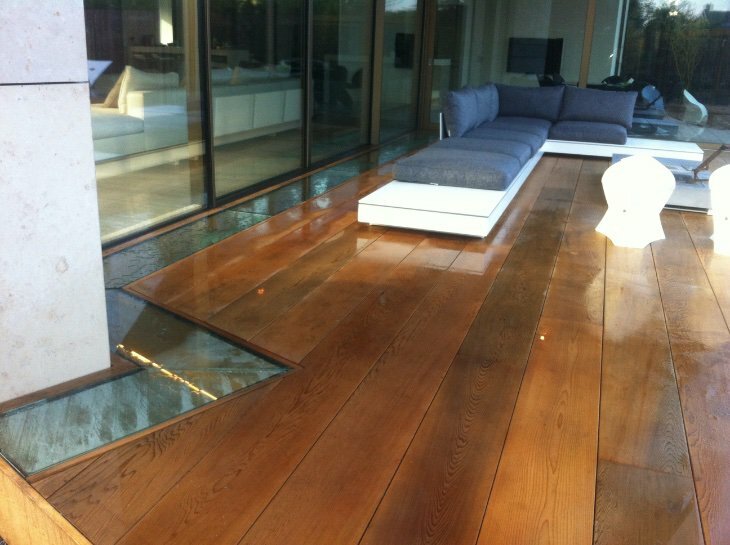 The gravel around the deck and under the glass is highlighted by led light strips. 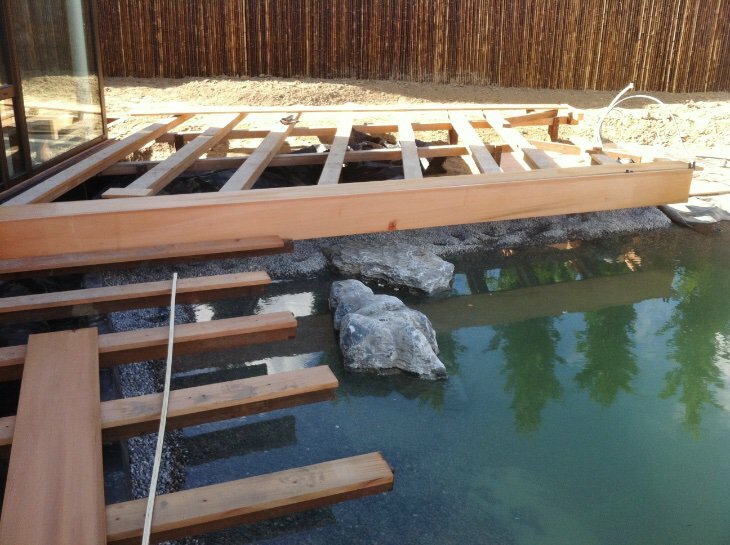 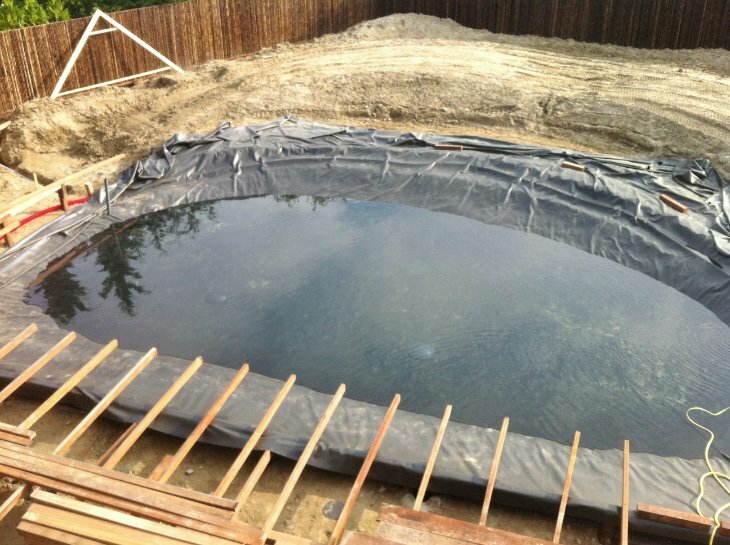 This effect causes the deck to 'float' on the gravel.